Interactive documentaries by a group of RMIT Media program undergraduate students have been selected to screen by Maroondah City Council’s ArtSpace. Video still frame from Memories in Action by students Anna Miers and Margaret Tanjutco. The works are part of the ANZAC: through the eyes of young people exhibition supported by the Department of Veteran Affairs, Anzac Centenary fund. RMIT lecturer and studio lead Dr Seth Keen worked with ArtSpace curator Lisa Byrne and RMIT students on remixes of a documentary made by the Walkley Award winning filmmaker, Andy Drewitt, on a 2016 youth theatre production, ‘Carrying Home’. Keen said he has a strong interest in integrated scholarship being a part of the Media studios in the School of Media and Communication. “The partnership with ArtSpace happened when I saw the opportunity for students to work at a professional level with a filmmaker, theatre director and curator,” he said. Byrne said the collaboration was about creating a voice for ANZAC through an intergenerational engagement with some stories that had their origin in Maroondah. “The students provided more specific engagement with this documentary material through topics such as loss, trauma, women, memory and remembrance,” she said. 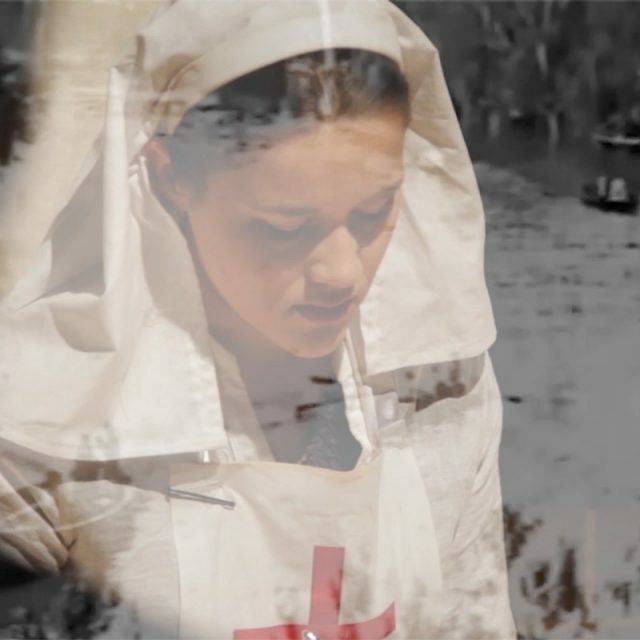 The students sourced and added extra material to support their ideas within the films to tell multilinear stories around ANZAC, producing a contemporary, youthful engagement and voice on ANZAC. 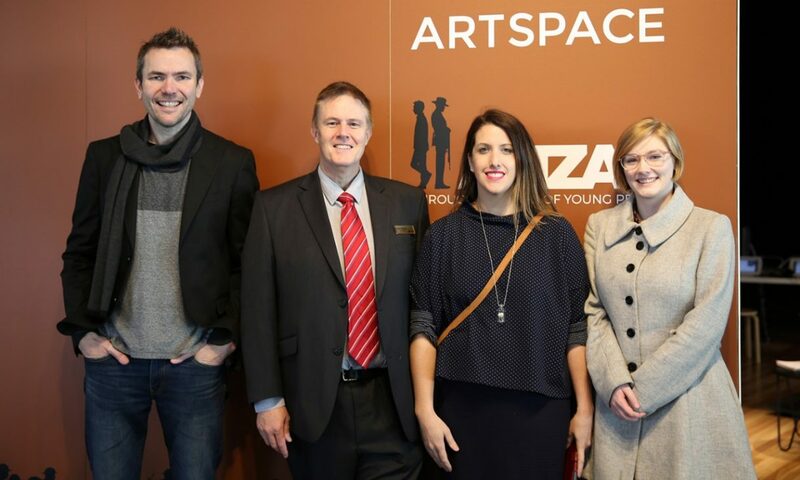 At the exhibition launch – Andy Drewitt, Councillor Mike Symon, theatre director Sharyn Mullens and RMIT student Eloise Large. RMIT student Eloise Large in the Bachelor of Communication (Media) is one of the producers of a selected interactive documentary, and joined City Councillor, Mike Symon, and theatre director Sharryn Mullens as a guest speaker at the launch of the exhibition. “We, as a collective, were given an opportunity to produce a visual art piece that represented what ANZAC meant to us,” she said. “For my team, the outcome was unexpected in relation to producing a perspective on trauma, through the use of frame-by-frame animation. Maroondah Mayor Mike Symon said this unique ANZAC exhibition is a refreshing, contemporary engagement with an important part of Australia’s history. “The collaborative creative process of this exhibition provided RMIT students with the ability to reflect on the emotions of people living during World War One,” Councillor Symon said. The themes present a contemporary engagement with some of the prominent people of World War One that have a significant legacy in the City of Maroondah. The ANZAC exhibition runs until Sunday 21 May at ArtSpace Realm, 175 Maroondah Highway Ringwood.